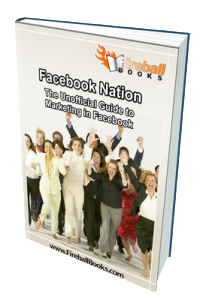 Hurry, grab our latest E-book is for "Maximizing Your Business With Facebook" . This book is loaded with tons of how to information like: How to start a Lead Gen campaign, Selling, and even using paid services. It is up to date information for the beginner in Facebook or Advanced marketer. Get you copy today. Below is a handy little thought list we discuss with all of our clients world-wide. What is your message? Are you selling a Service, Product or Self Awareness ? Think about who you audience is, or should be.. There is a big differance..
Review your monthly budget for your program. There is literally a marketing program for everyone.